Posted on January 31, 2017 by Michelle M.
We don’t always get Cooper’s photos right on the first shot*. Here are some pics that didn’t make the cut. (Those underfluffies need a lot of attention). * Due to the photographer and through no fault of the model, of course. 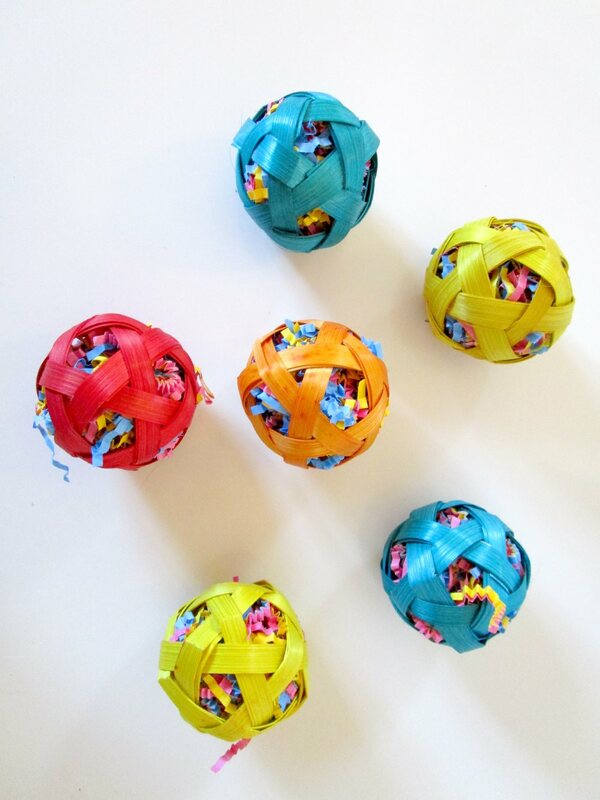 Posted on January 30, 2017 by Michelle M.
They’re the Natural Stuffed Bamboo Balls from Bonka Bird Toys. 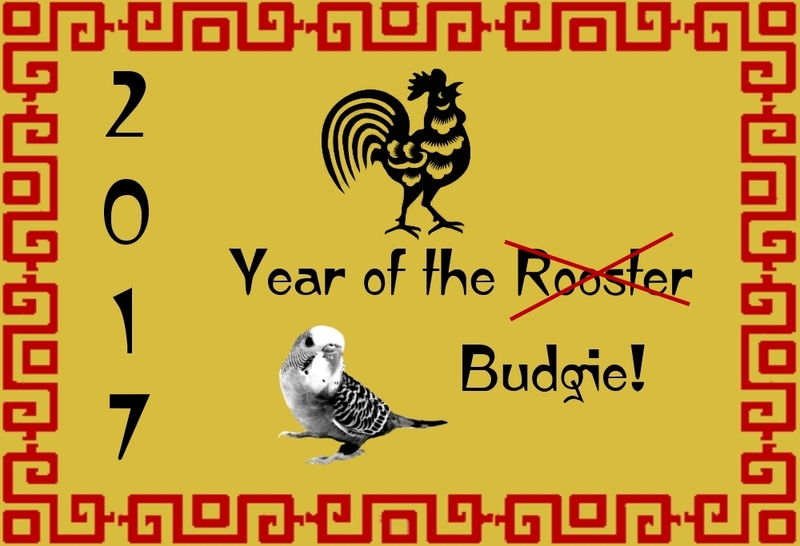 Posted on January 29, 2017 by Michelle M.
Posted on January 28, 2017 by Michelle M.
Cooper wishes you happiness, health and good fortune! 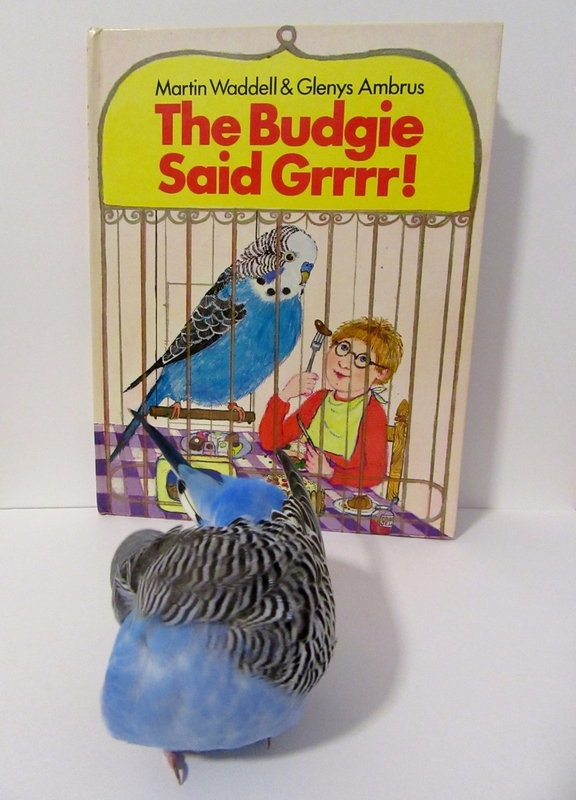 Posted on January 27, 2017 by Michelle M.
This month’s book is The Budgie Said Grrrr! by Martin Waddell and Glenys Ambrus. 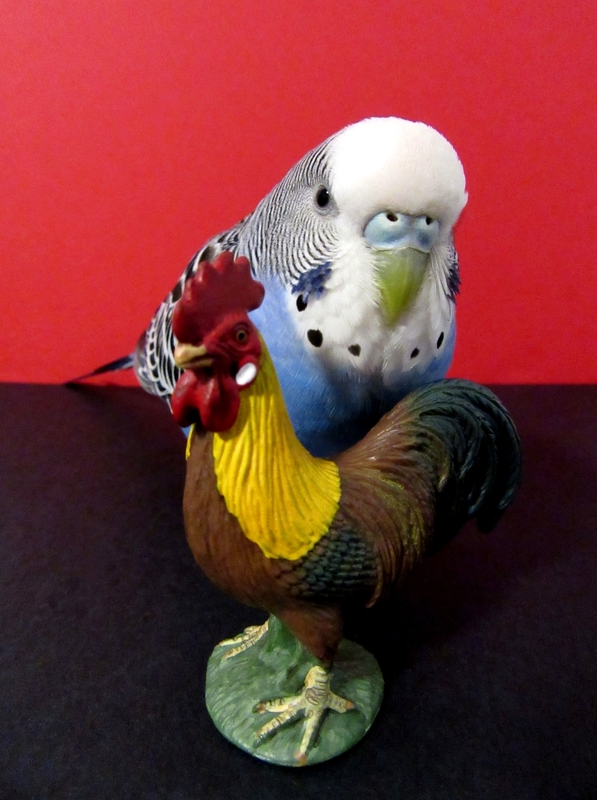 Bill buys a little blue budgie at the bird shop. 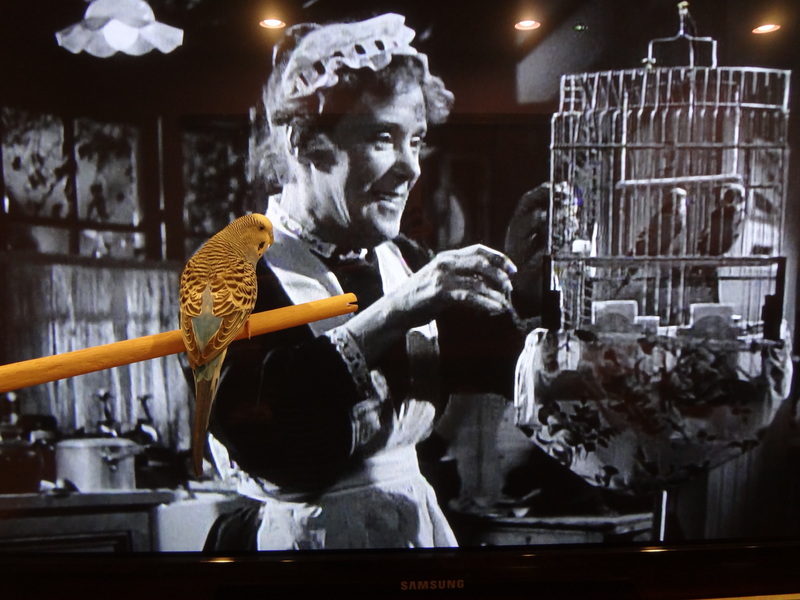 But the little budgie does not like bird seed. Grrrr! So it eats its bell, its mirror and its bird bath. 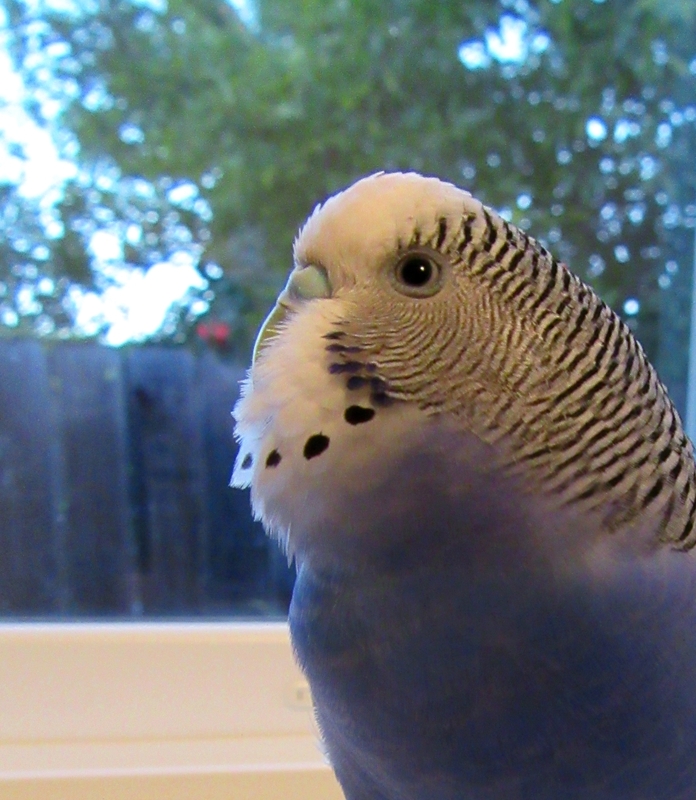 Soon the budgie is getting bigger. 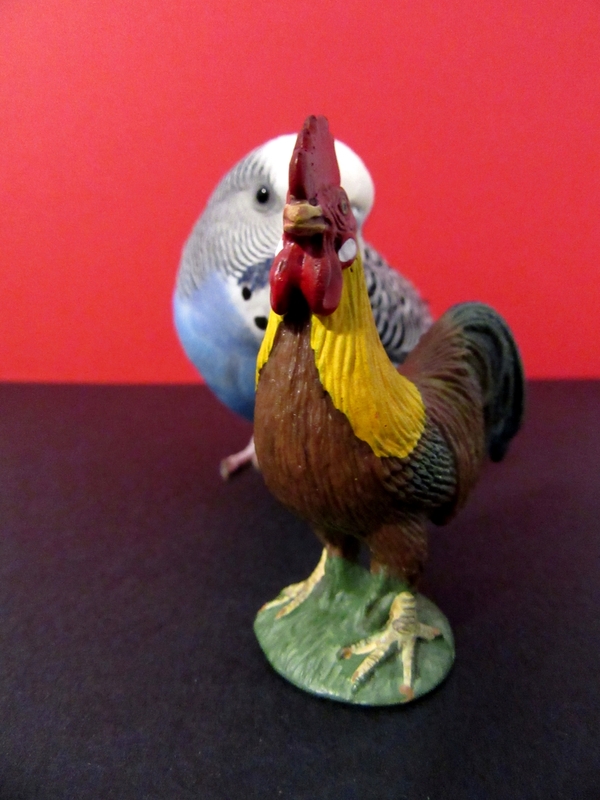 Bill buys the budgie a bigger cage. Grrrr! The budgie eats a hat, PE gear, and a spare tire and gets even bigger. Soon it is so big that the budgie puts Bill, his mum and his dad in a huge budgie cage. 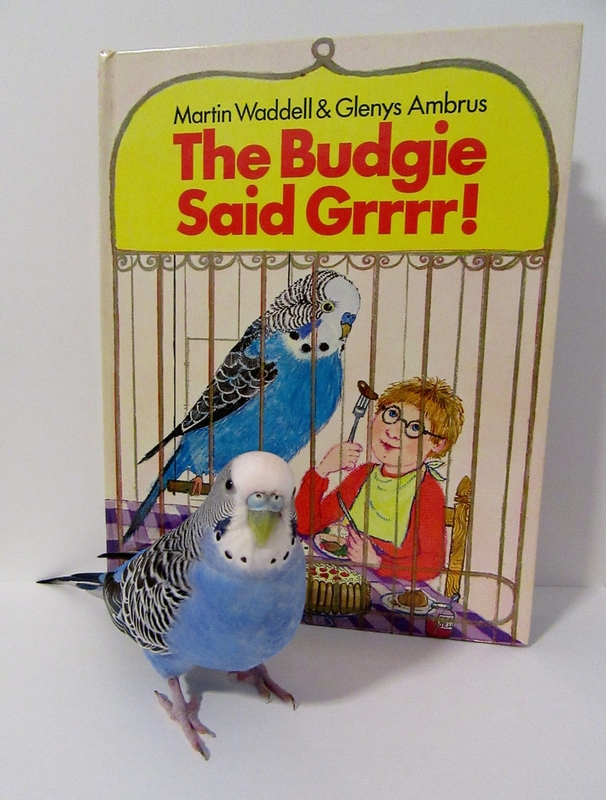 Finally, Bill’s Mum makes the budgie something “good to eat”. Apple fruit cake, shortbread, chips, etc. seem to do the trick and Bill, his mum, his dad and the budgie live happily ever after. Cooper thought this story was a little odd. 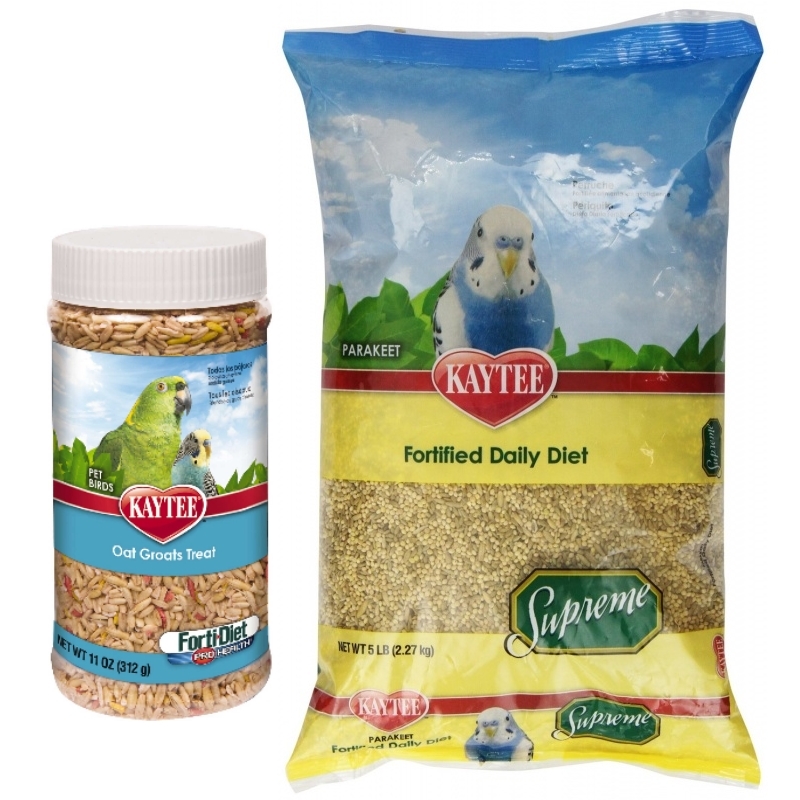 How can a budgie not like bird seed? 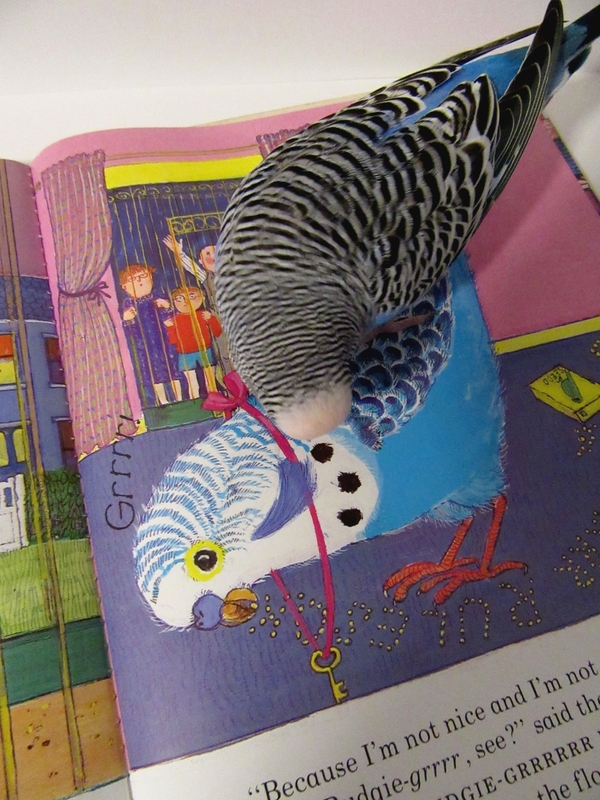 She loved the illustrations and thought a budgie locking its people in a cage was hilarious. 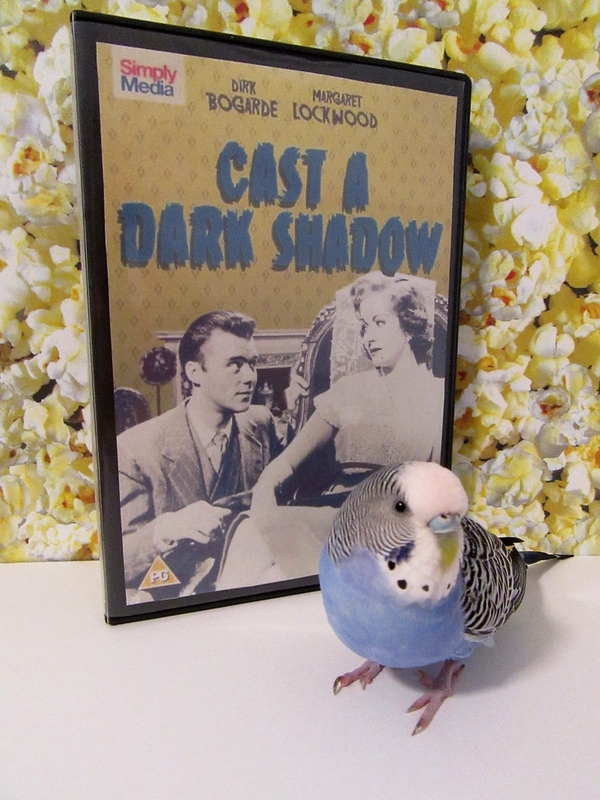 She was glad the budgie didn’t eat the postman. After eating the post man’s parcels and letters she was worried that he might be next. 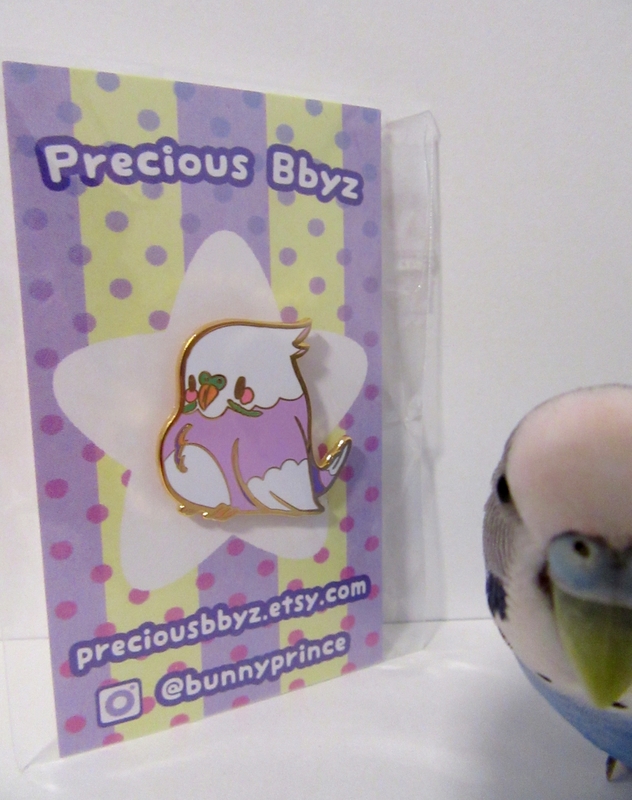 Cooper also thinks that feeding your budgie ice cream, cake, toffee apples, strawberry jelly, chips, sausages, hamburgers, honey buns and chocolate mousse is a very bad idea. 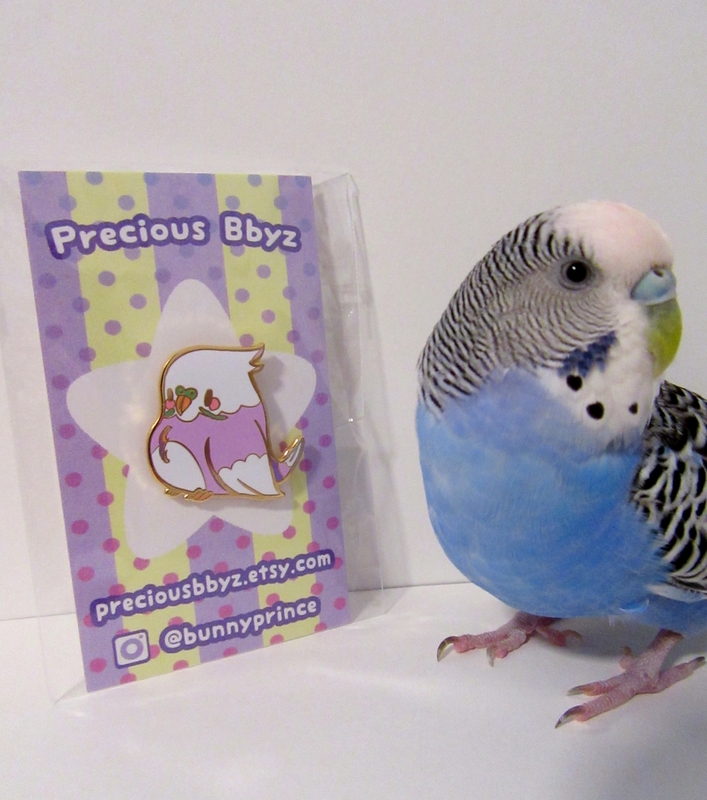 Budgies should stick to fruits and vegetables, no matter how big they become. Posted on January 26, 2017 by Michelle M.
Look what came in the mail! 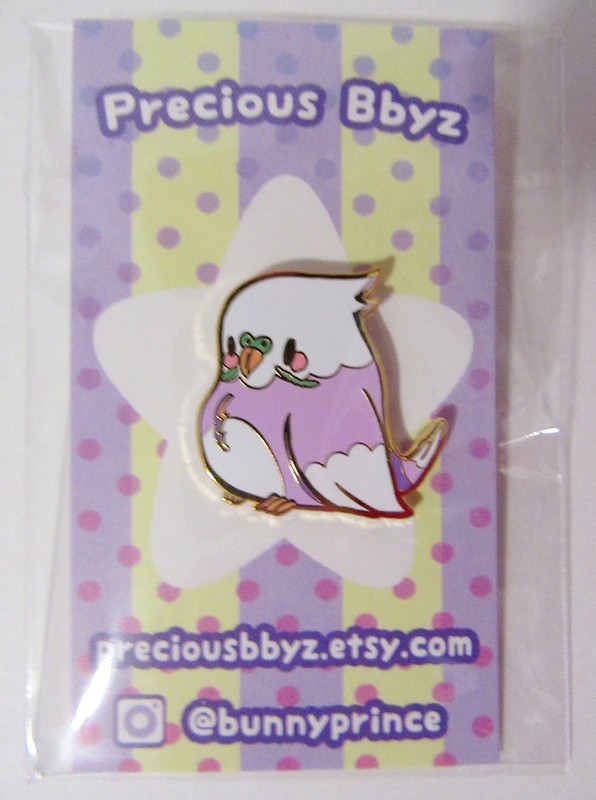 This cute little cockatiel pin from PreciousBbyz on Etsy. 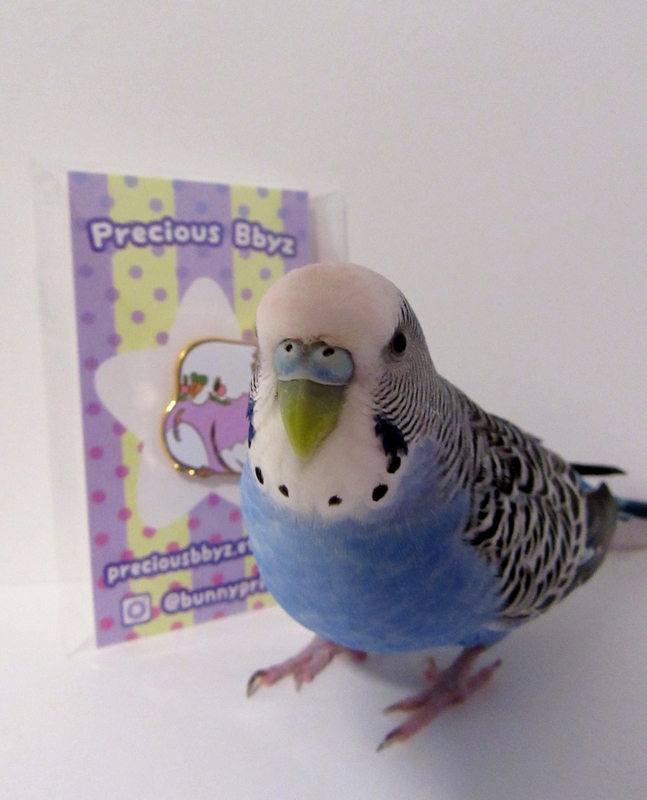 I don’t think Cooper is too pleased that this is a “cockatiel buy” and not a “budgie buy”. Posted on January 24, 2017 by Michelle M.
Cooper decided that once a month she wants to feature those who rescue, shelter or are active in the conservation of her feathered friends. 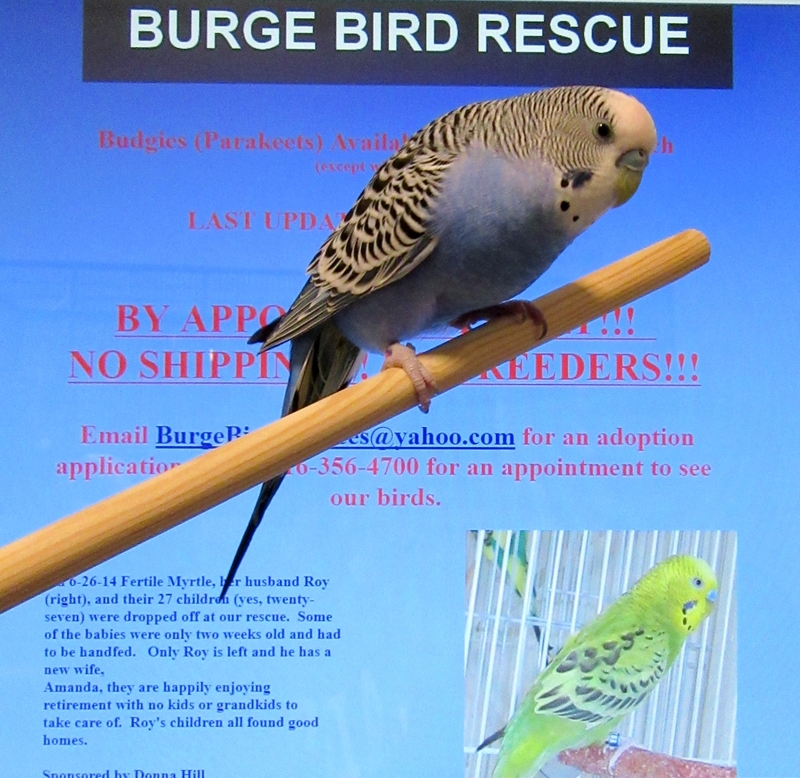 This month she would like to promote Burge Bird Rescue. This Kansas City, Missouri non profit was started by veterinarian Dr. Julie Burge in 1990. She, her staff and volunteers provide medical help and shelter for birds. 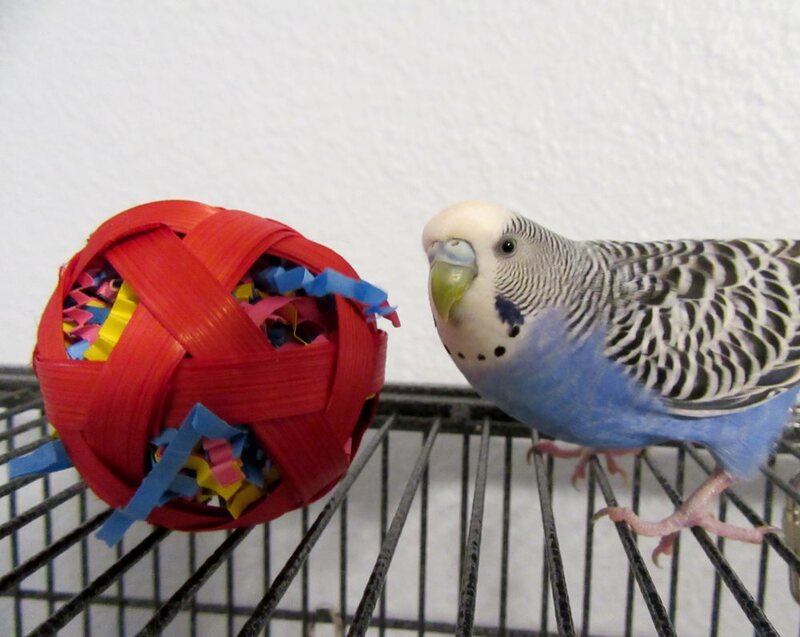 Birds available for adoption include parrots, doves, cockatiels and budgies. You must pass a screening interview to adopt. 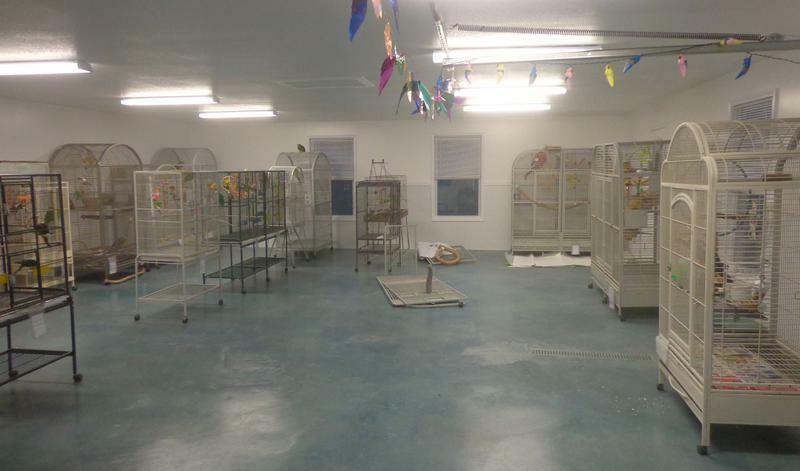 Birds that will remain at the shelter (due to special needs or medical issues, for example) reside in the Sanctuary Room. The website has bios and photos of the birds and information about bird care. There are rescue stories, too. Some birds are available for sponsorship. 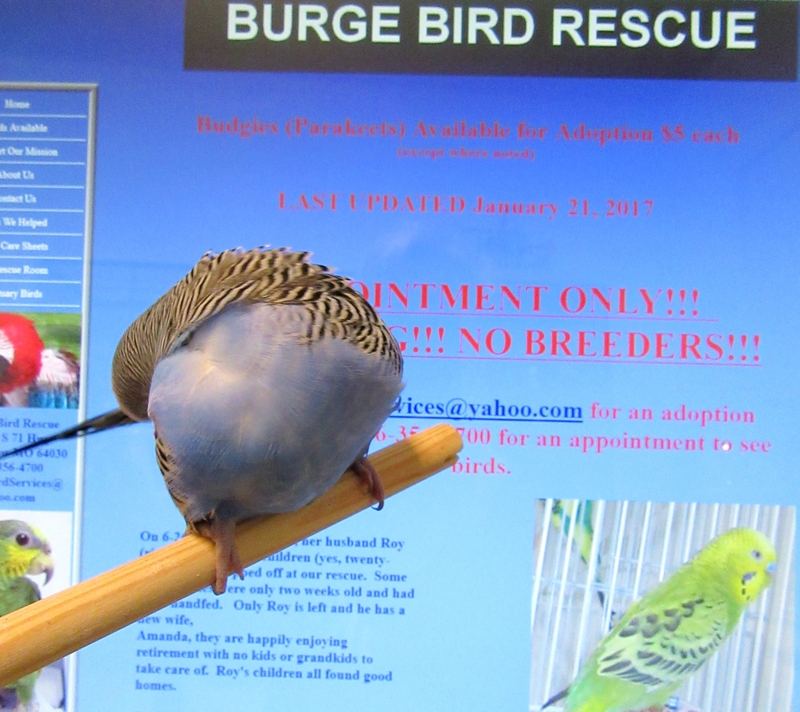 If you are thinking about sponsoring a bird, donating to a worthy cause or would like to add a bird to your family (and are in the Missouri area), please contact Burge Bird Rescue here. Posted on January 23, 2017 by Michelle M.
I get lots of questions about what I feed the flock, so here is a rundown. 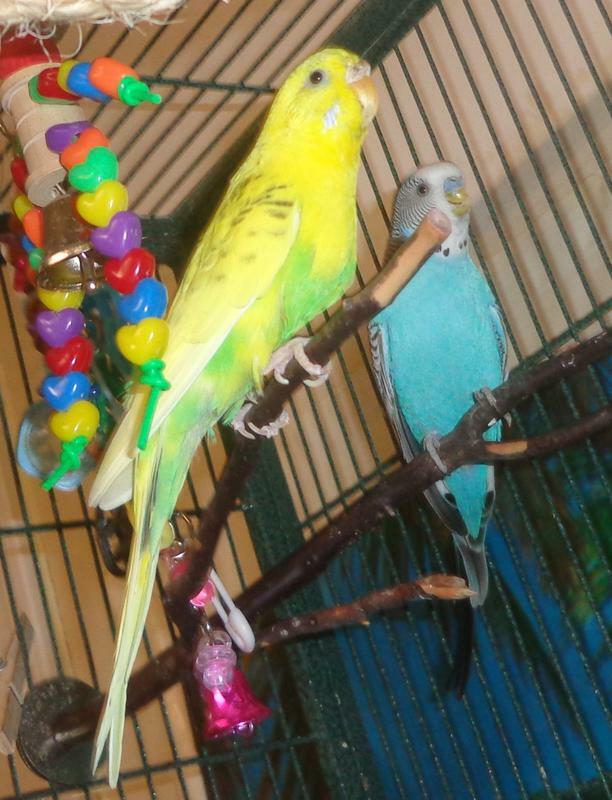 Pellets – these are in their cage all day. Seed is only available in the afternoon/evening. Mash – the birds get mash in the morning. 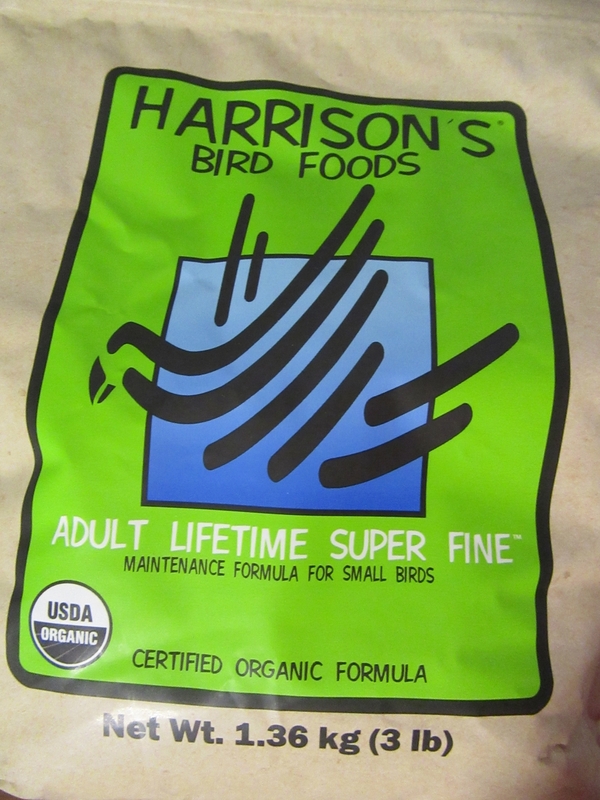 Not having seeds available in the morning (I take them out at night) is one of the reasons I think our birds enjoy their mash. I think it also helps that we have a couple adventurous eaters to set a good example. They get veggie or fruit mash*, but mostly veggie. I just made some veggie mash recently. 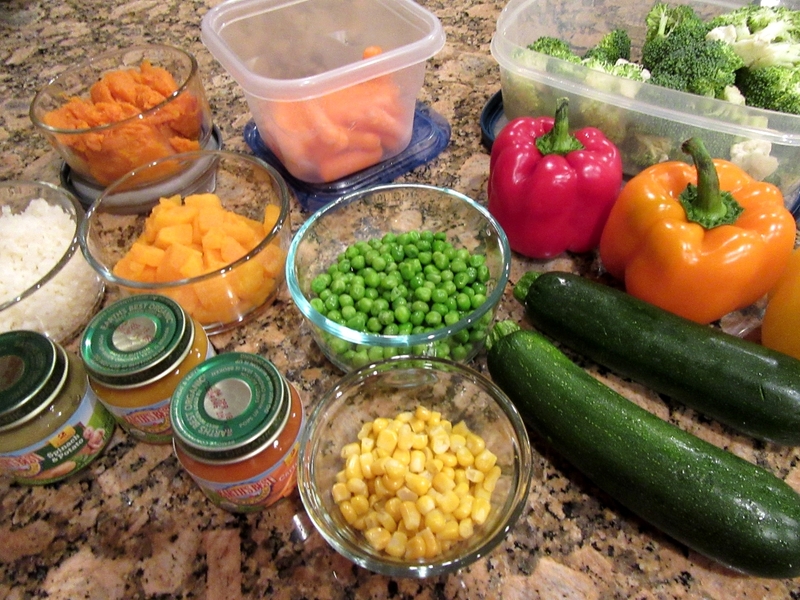 The flock enjoys zucchini, carrot and broccoli (grated), cauliflower (the riced cauliflower is convenient), peas, squash and corn (I use the blender for those), and peppers (red, green, yellow and orange bell). I like to vary the mixes so that the birds aren’t eating the same thing every day. Always make sure to check and see if the fruit or vegetables you are using are safe for you birds. 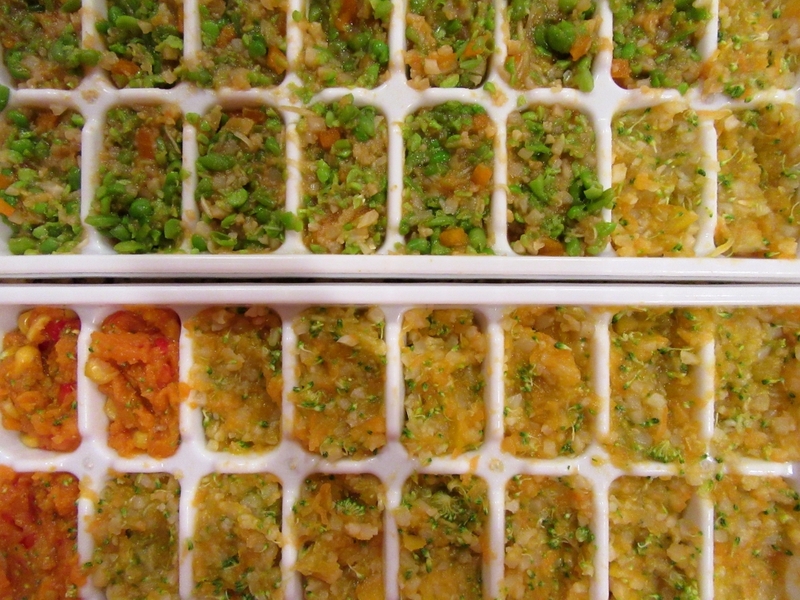 I use organic baby food to hold the mash together, then freeze it in cubes. I thaw out about three for their morning meal (which is enough for 7 budgies and 1 cockatiel). I also make a grain mixture (lentils, kamut, brown rice, etc.) that I freeze in cubes. 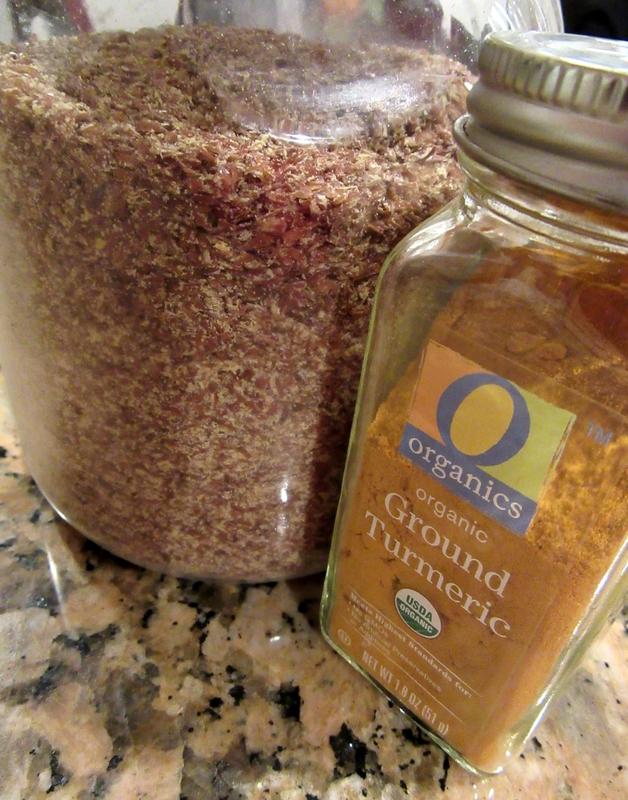 I take turns sprinkling herbs, hemp seeds, ground flax seed, a tiny pinch of turmeric, grated almonds or grated walnuts on the mash. 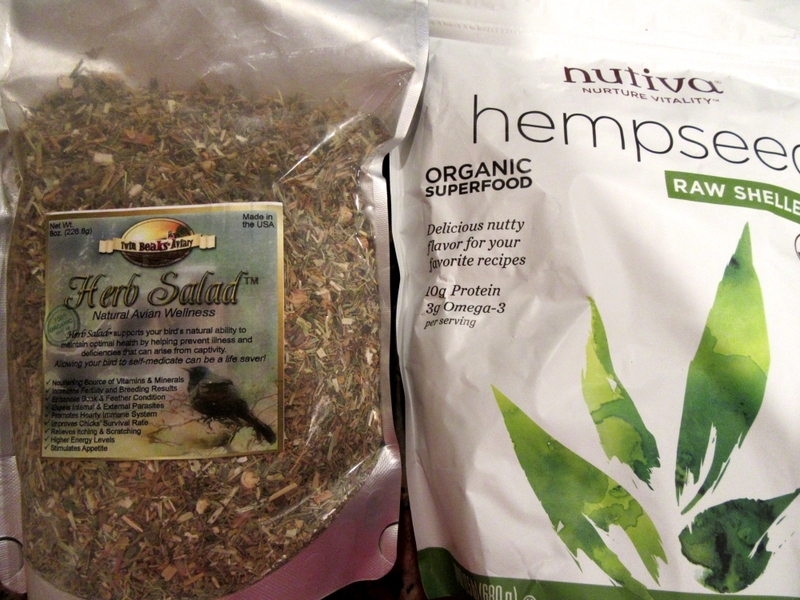 Sometimes I tear up Romaine, spinach, baby kale or fresh herbs and top the mash with that. Other times I mix in some pasta or oatmeal with the mash. Crumbled avi-cakes are also a good topper. The mash stays in the cage for a couple hours, tops. I put the seed in for them in the late afternoon evening. Sometimes I’ll give them Romaine lettuce, broccoli florets, apple slices, pepper strips, melon or strawberries to snack on. This is the seed that we use. I’ve tried others, but this one seems the most popular. 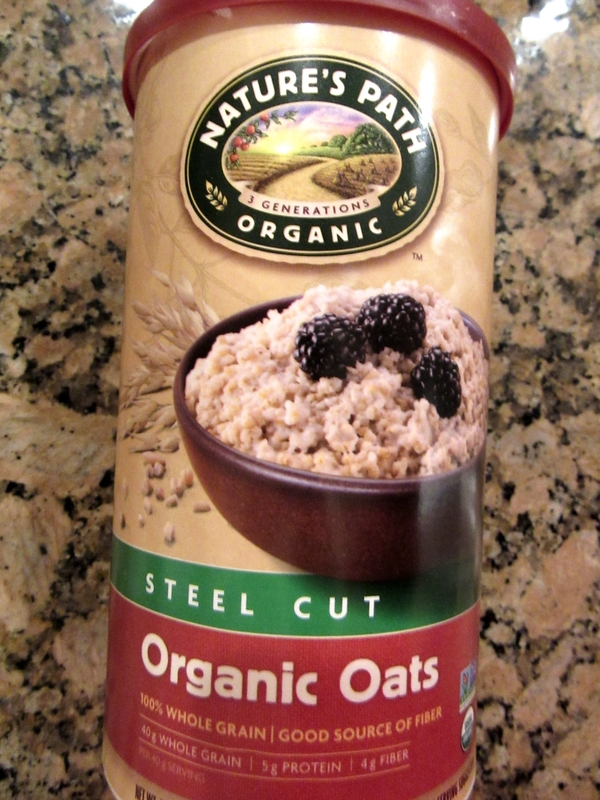 I mix Oats and Groats in with the seed. 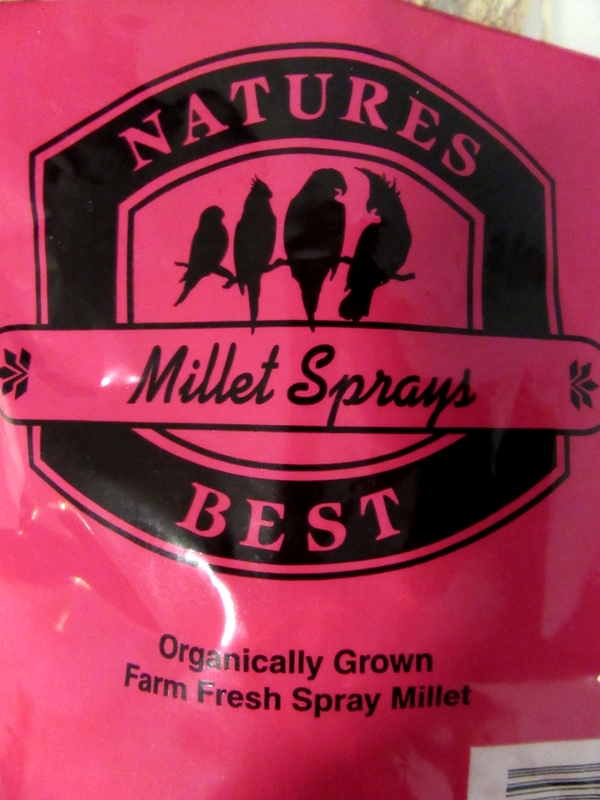 Millet is for special occasions, or if a budgie is not feeling 100%. This is the brand we buy. 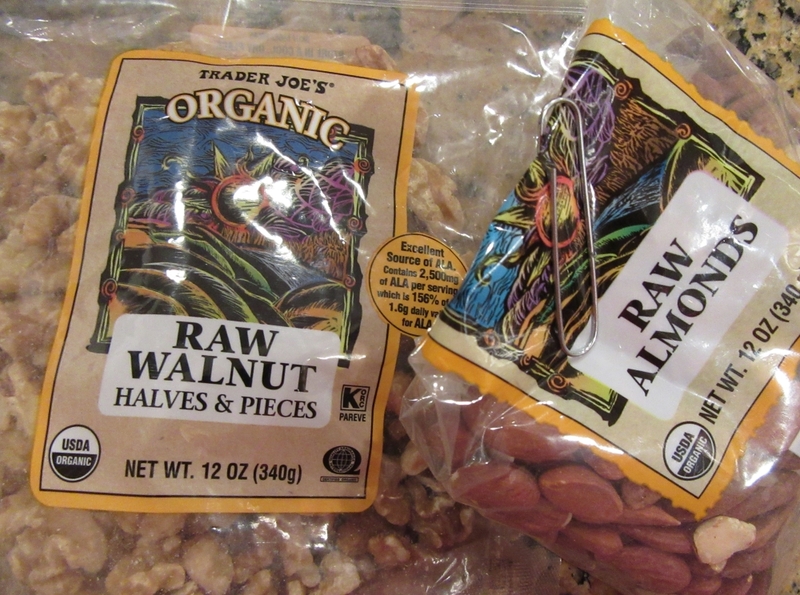 Other snacks are organic rice cakes and organic (plain) popcorn that I air pop. *Fruits that I put in the fruit mash are apples, kiwis, mangoes, pears, bananas, peaches and berries. I use organic fruit babyfood to bind the fruit together before I freeze it in cubes. Once a week (on different days) the birds get supplements in their water. 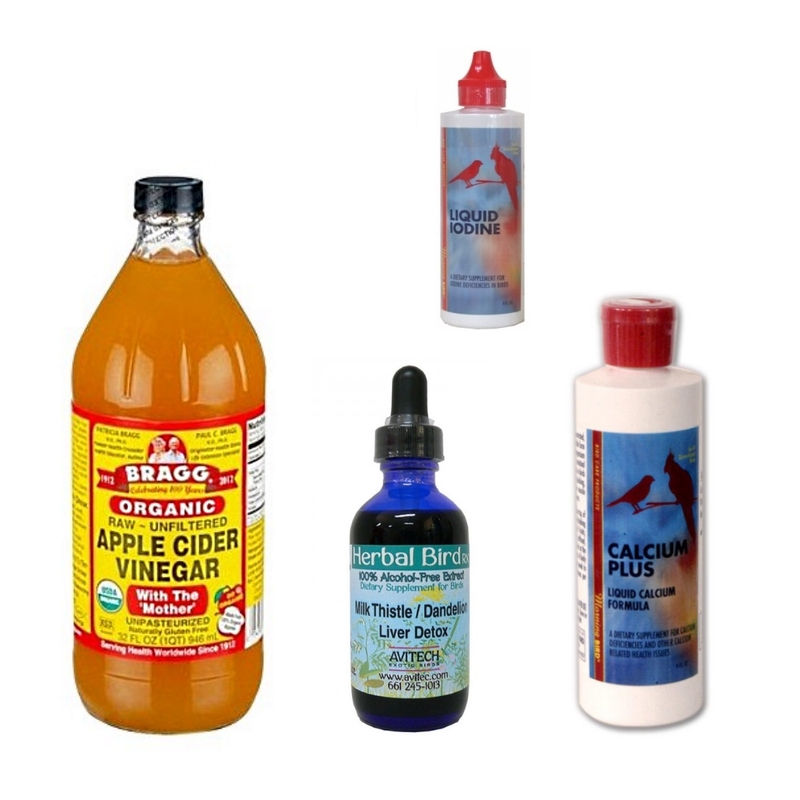 apple cider vinegar, milk thistle, liquid iodine or liquid calcium (Cooper tears apart cuttlebones as soon as I put them in the cage). 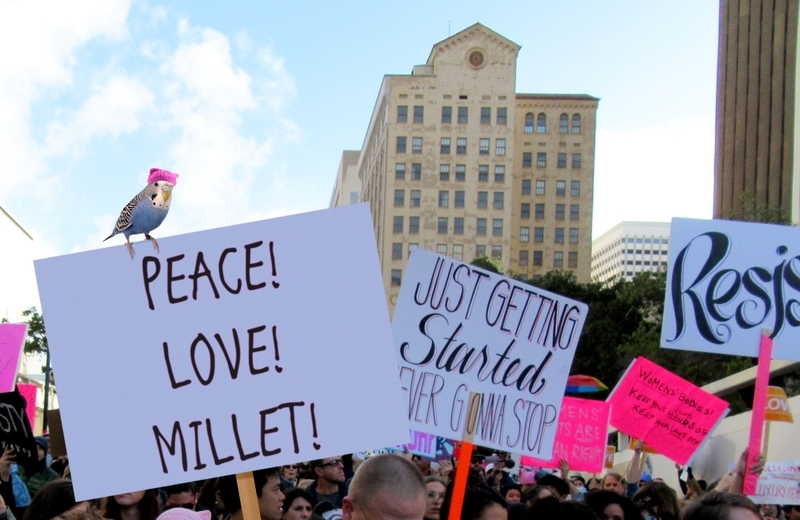 Posted on January 22, 2017 by Michelle M.
Cooper at the San Diego Women’s March.